Opera updated several of its mobile browsers today, bringing its ad blocking tool to Android, iOS, and Windows handsets. First, Opera refreshed its main Opera browser for Android. In addition to the ad blocker, Opera for Android also gains support for web push notifications and multi-window support. Further, the browser's core was upgraded to Chromium 50. 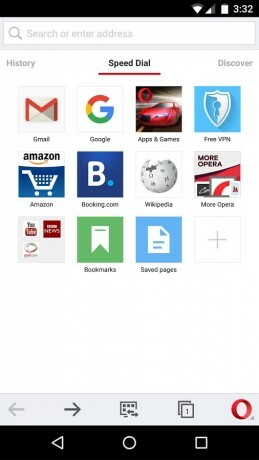 Opera for Android is free to download from the Google Play Store. Opera also updated Opera Mini for iOS and Opera Mini for Windows phones (8.1 and 10). Both platforms gain access to Opera's ad blocker. For all devices, the ad blocker is not on by default; users will need to activate it in the settings. Opera Mini for iOS and Windows is available from the iTunes App Store and Windows Store, respectively. Opera today released a new version of its Opera Mini browser for Android and gave it a native ad blocker. Opera claims the ad blocker serves two purposes: 1. Opera Software today scrapped plans to sell its entire business to a consortium of Chinese companies and will instead sell to them its consumer browser business. The original deal, valued at $1.2 billion, would have seen a handful of China-based investment firms take over all of Opera's businesses.